Description: Poster design for 49 Jazzaldia poster competition. Aerial view of the San Sebastian beach where 49 Jazzaldia takes place, the landscape becomes abstract inspired by Jazz rythms and the drawing of name of the event reminds of the night neon lights. 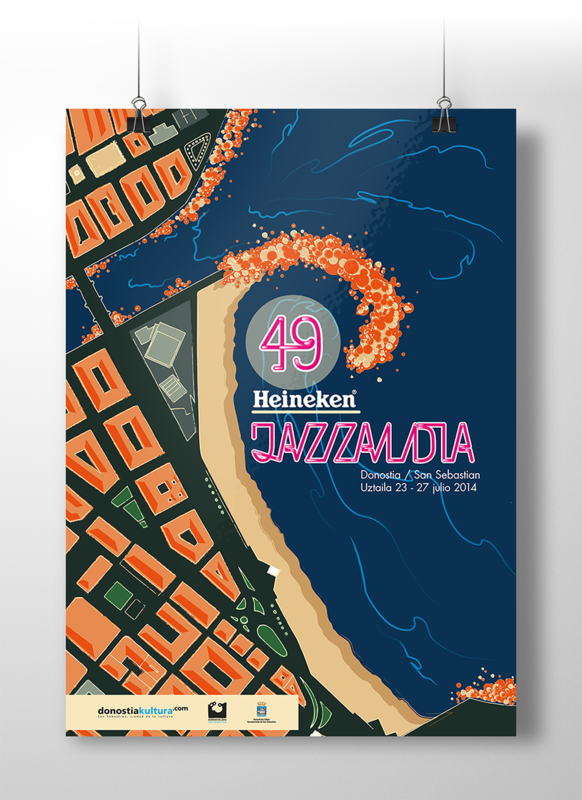 Posted in Art, Culture, MusicTagged #jazzaldia, 2014, 49 Jazzaldia, beach, cartel, elenabandos, festival, Illustration, ilustracion, jazz, jazz festival, jazz poster, map, mapa, music poster, neon, playa, poster, san sebastianBookmark the permalink.